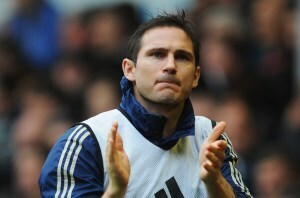 Reports are out claiming that Frank Lampard has reportedly agreed terms with Chelsea over a new one-year deal. The Telegraph revealed that the 34 year old is understood to have agreed a new one-year deal to remain at Chelsea next season, ending speculation over the future of the club’s record goalscorer in a move that will also appease supporters. An announcement will be made shortly. It appears that not only has Lampard significantly lowered his financial demands but that Chelsea have accepted the worth of the England international, who is a huge favourite among the club’s fans.